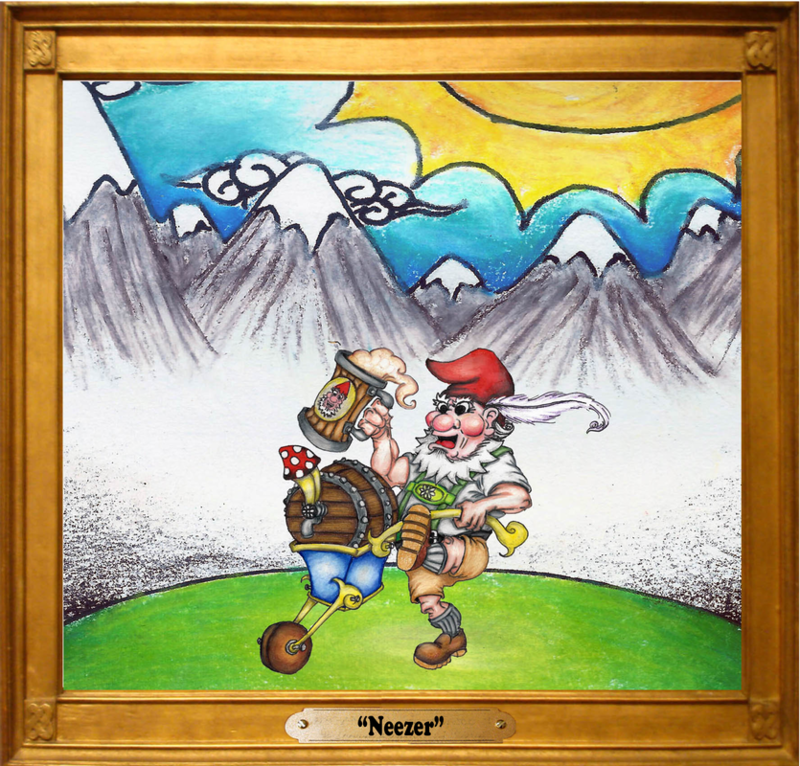 Click on the portrait to learn more about a gnome! 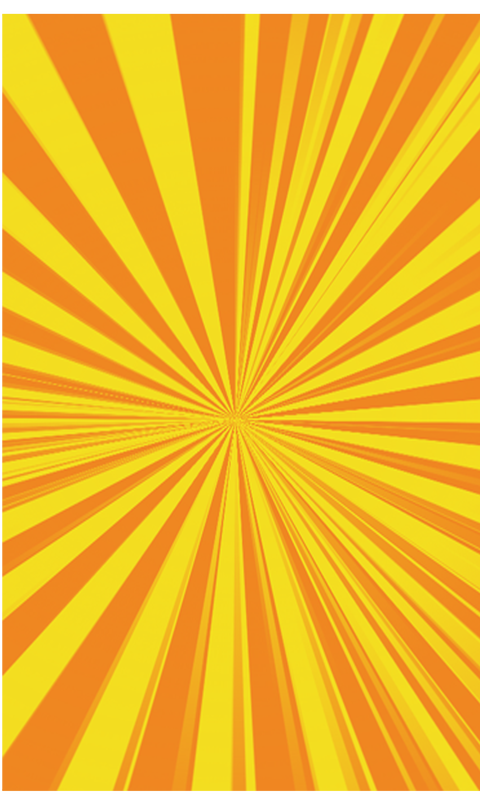 Sneezeweed Brickcap, or 'Neezer' for short is our spokesnome. 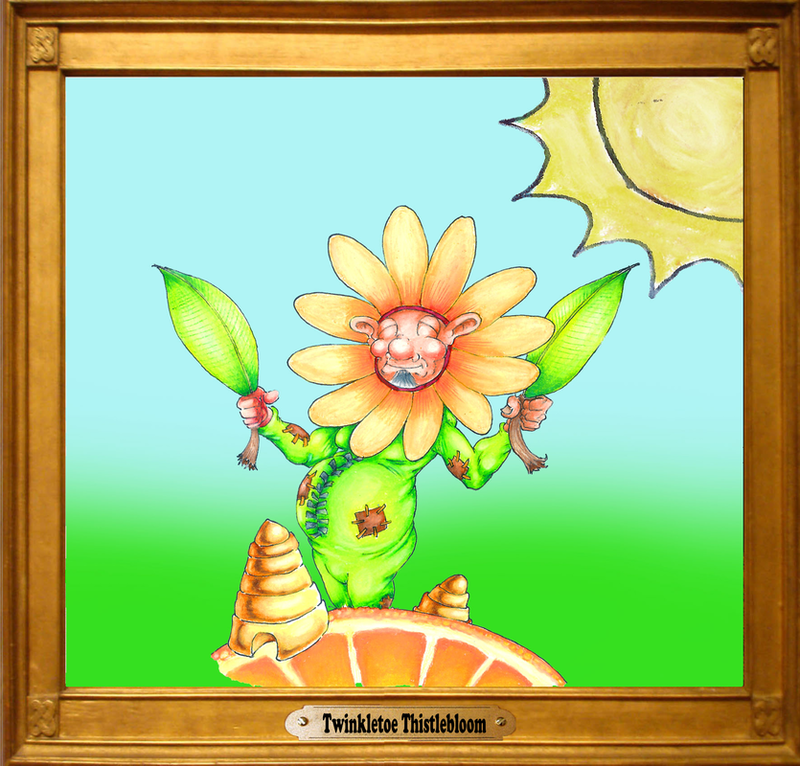 He was so named when his mother sneezed while walking through a sneezeweed patch, and - to her surprise - gave birth to him! 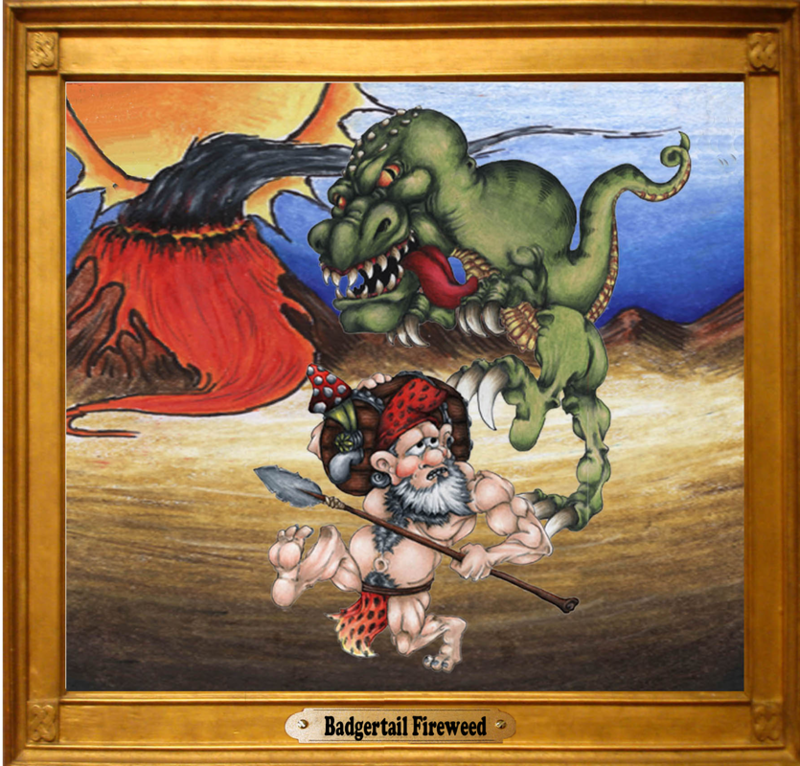 Badgertail is a gnome of action! Ever ready to be first on the scene, he tends to jump before looking, and often finds himself in some pretty sticky situations! He can’t be considered a contemplative type, but he’s always ready to look under the next rock or in the next cave! 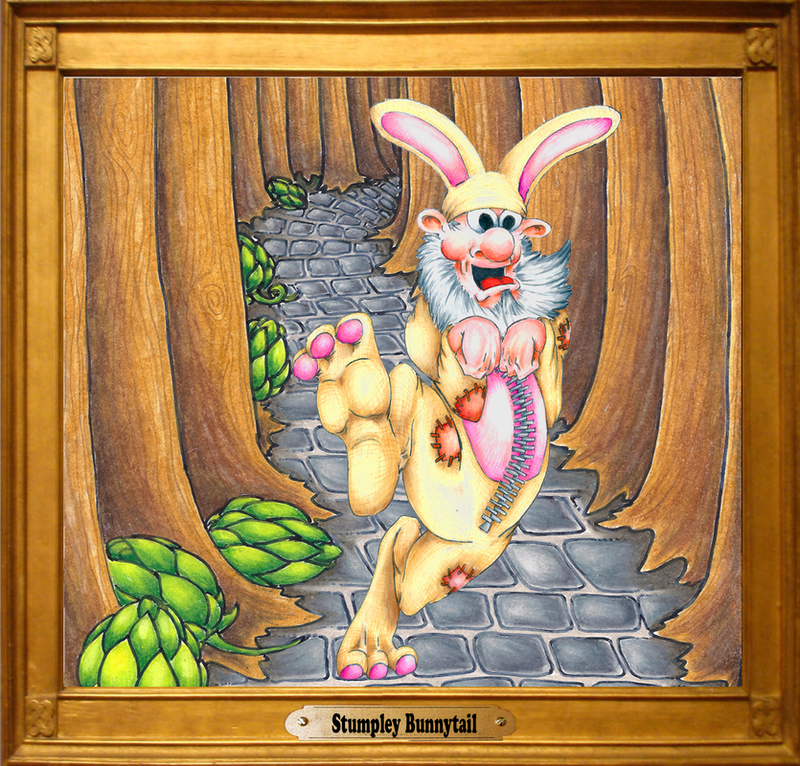 He’s a very loyal friend, and would never think of leaving someone else to face danger – mostly because he can’t contain his joy for adventure – and because he tends to be the cause of the danger..
Stumpley Bunnytail of the Bunnytail clan – so named after the bunnytail grass that grew in the field surrounding their ancestral home – takes more of a… literal and physical approach in connecting with his Bunnytail family roots. It’s a good thing their ancestral home wasn’t next to the coop of a giant rooster! 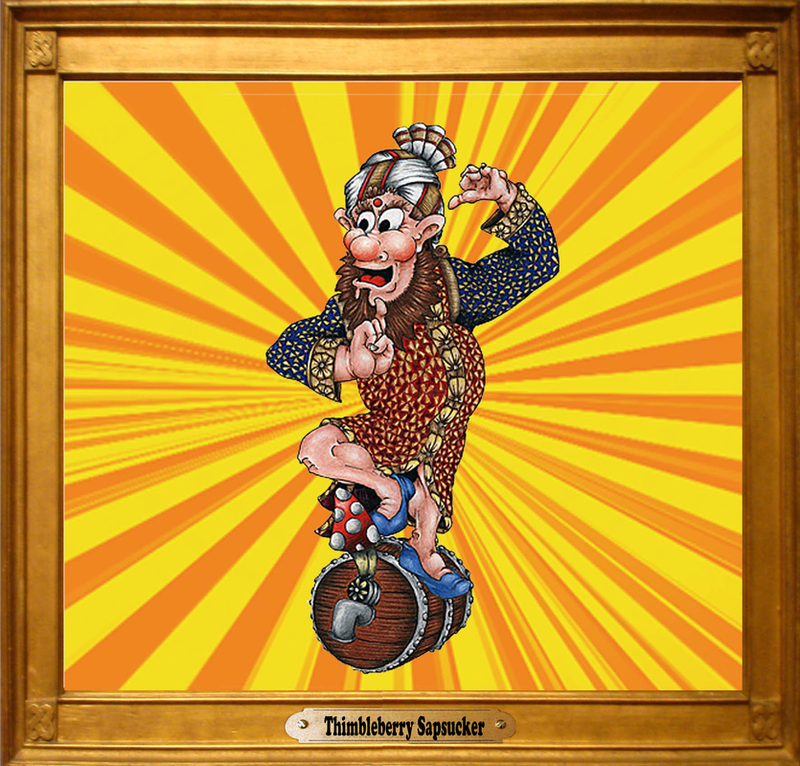 Thimbleberry Sapsucker is the embodiment of the bohemian, yogi hipster who loves his IPA’s! Thimbleberry is quite creative in all aspects – he made his own Sherwani to strut around downtown in. The creativity runs in the family. All the Sapsucker’s are quite colorful! 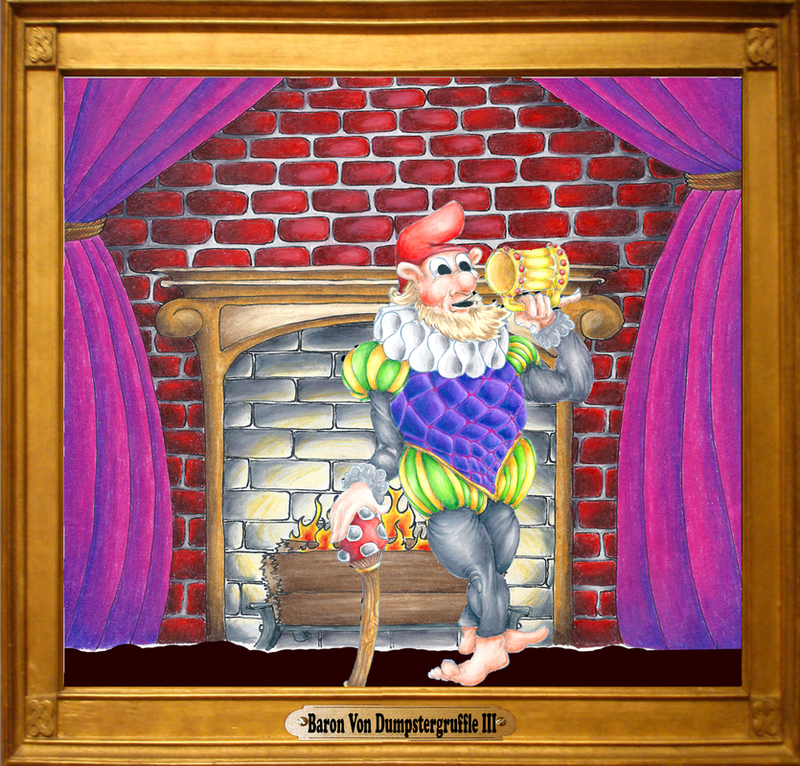 Self-proclaimed playright – writer of world famous ‘A Gnome-summer Night’s Dream’, in which he stars as the lead, the supporting role… and all of the other roles, really… The extravagant Twinkletoe Thistlebloom is truly a legend in his own mind! Patriarch to the Dumpstergruffle estate, Baron Von Dumpstergruffle (the 3rd) spends his days in luxury – most certainly not in tranquility though. As being the patriarch comes as a great undertaking. We can’t tell you exactly what that entails, as he seldom comes out of his study. Surely he must be doing some very important work! (...He’s napping).